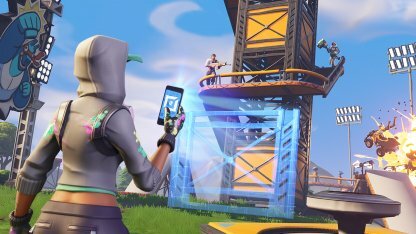 Learn more about the new Creative Mode that will be available to players along with Fortnite's Season 7! Information includes what you can do, mode features, & more! What Can You Do in Creative Mode? 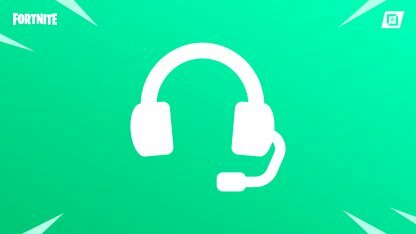 Players can freely talk among each other regardless of their team when in the Creative Hub or in an island with the new Voice Chat updates. Players can choose from None, Team, or All channels. 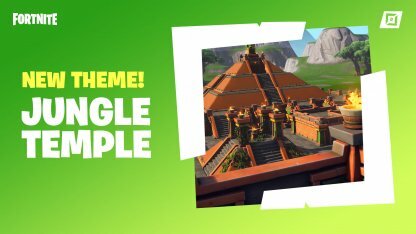 Following the release of Season 8, the Creative Mode has received 6 new Jungle Temple Prefabs and 3 new Jungle Temple Galleries. Preexisting galleries have also been updated with new props and items. From pinball bumpers to billboards, a number of new devices have found their way to Creative Mode, bringing exciting possibilities with them! Each player will have 4 islands on which to build their dream creation. These islands will be a blank slate and building progress will be saved so you won't need to worry about the time limit. Creative gives you access to a variety of tools via the phone which allow you to build and manipulate structures and items which normally can't be created. You can even set your own rules on how your creation should be played to make your very own mini-game! Starting December 13th, access to Fortnite's Creative Mode will be extended to everyone so all users can try their hand at this mode. The feature has been available only to the ones who purchased Season 7 Battle Pass. What Can You Do in Creation Mode? Creative is the ideal place to practice for building battles as you can have infinite building materials so you won't need to waste time gathering them. 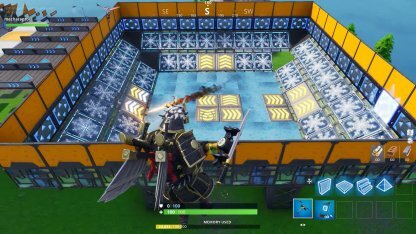 Create an ideal practice situation by using prefabricated buildings and building your way out of situations you've had trouble getting out of in the Battle Royale game modes. Some unique structures like stadiums have been added to prefabs so you can immediately enjoy them without needing to make them from the ground up. 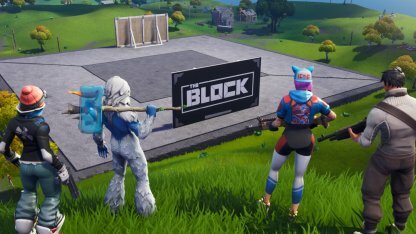 Epic will be on the lookout for exceptional player creations shared via social media with the hashtag #FortniteBlockParty to feature on The Block! Aside from the original 4 islands each player receives to build on, a 5th island will be provided featuring The Block so that players can make sure their creations can fit the space! 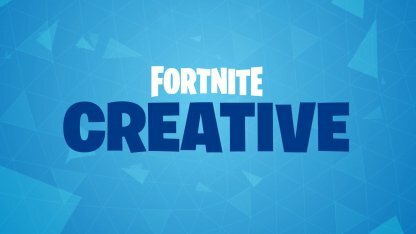 What Are The Features of the Creative Mode? Each player will get 4 blank islands on which to build on accessible via a Golden Rift from the Creative hub. 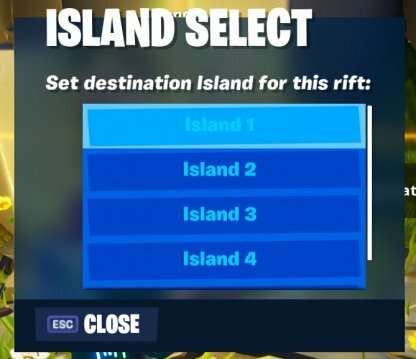 Featured Islands can be accessed via special Rifts. 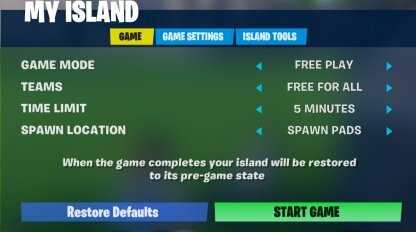 These will allow you to access created islands currently featured and play them according to the rules set by the creator. The Island Codes system will allow you to access player-created islands that have been shared to the system. To load these, use the "Enter Code" option at the Featured Rift. Players will be able to see Published Island Codes when visiting other islands. However, this option can be turned off in the "My Island" game tab. The "My Island" Menu offers a variety of options that will allow you to customize the island and set the rules for how a game on your island will be played. This will prevent players from getting damaged while they are on your island. Disable this option so the buildings you've placed will be invincible, but will not apply to player-built structures. Enable this option to allow buildings to be destroyed normally. Disabling this will allow you to move props through each other but not under terrain. This will make arranging elements easier when creating your island. Double-tapping Jump even while using your Glider will allow you to use the Fly option. This will allow you to quickly move through the map and even place objects in midair! A new "Time of Day" option has been added to the Creative Hub, allowing players to set the time for their islands. Choose a specific hour of day for your island to stay in that time frame. 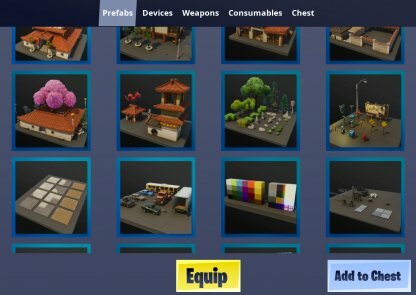 If you don't fancy building from scratch, use Prefabs to customize your island. These range from classic Battle Royale structures to special challenge structures ready to use! 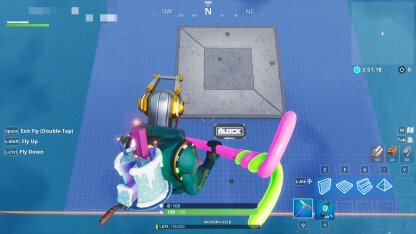 The Obstacle Course prefab set includes Floors, Walls, Roofs, Stairs and Parts. This will allow you to easily create your own Obstacle Course using structures and props! The items included here will allow you to strategically place objects that cannot be destroyed by weapons in the game. Devices are a mix of items that can be interacted with. These include the classic Battle Royale Trap items to timers, scoreboards, etc. 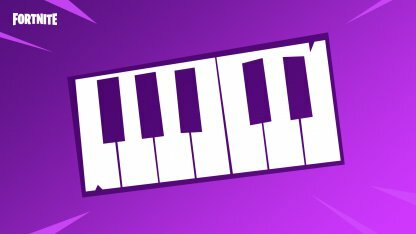 As of Fortnite Patch v7.40, a new tool called the Music Sequencer can be used to create, combine, and play tunes! It triggers music blocks, can loop music, change tempos, and trigger other sequencers and more! 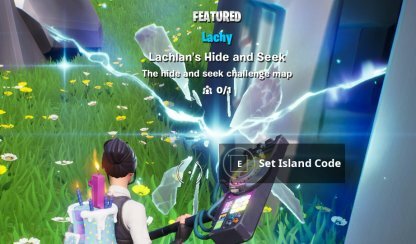 This device will spawn a pre-set item one at a time during games on the island where it's located. Behaves similar to a save point, players that run across this device will change their spawn point to its location when they die during a game. A radio device can be found in the Visualizer Gallery. It can play music and ambient noises. With your Phone equipped, you will be able to resize your props. Props can be grown or shrunk by 3 times of their original size. 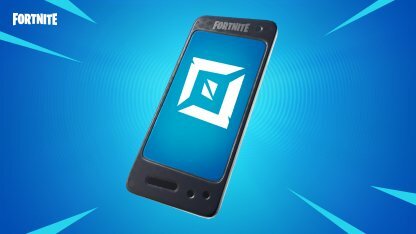 As of Fortnite Patch v7.40, new game winning conditions and options have been added into the game. These new options will make you enjoy playing in Creative Mode more. Similar to Playgrounds, all players will be on the same team when they initially join the server for the island. Players who join a session that's currently in progress will be on Team 1 by default. Whenever possible, players on the same team will spawn across different team spawn points for even distribution. Players on the same team will now be able to see team identifiers to easily tell apart players on the opposite team. Epic Games has enlisted the help of popular streamers to showcase just what you can do in Creative Mode. Check out their features via the Official Fornite Creative News. 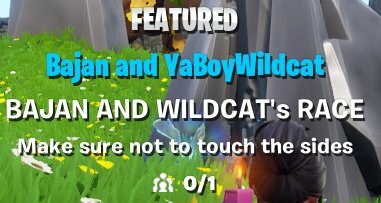 As this is a new mode in the world of Fortnite, remember that there are some ground rules. This is in order to create a good atmosphere, and ensure the safety of all players. Be an extension of the brand. Fortnite is fun, friendly, and welcoming to all players. Play fairly and within the rules of the game. 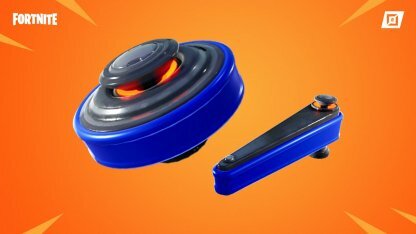 Use official Fortnite names for all weapons, Outfits, Points of Interest, and items. Engage in hate speech, threats, spam, harassment, discriminatory or illegal behavior. Be overly commercial or spammy. 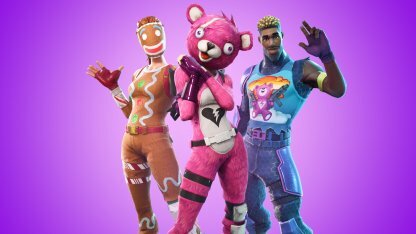 Create or display any pornographic content in association with Fortnite. Violate any copyright or trademark of Epic Games or any other third party. Promote or engage in gambling associated with Fortnite. Participate in any action which, in the sole and exclusive judgment of Epic Games, defrauds the game or any other player.